We’re often reluctant to change our hair’s color or cut our hair in fear of permanent fails. Although there's a risk that you won’t like the change you make, the risk of looking years older than you are should be scarier! If you end up not liking a particular haircut, remember that hair does grow back. Here are a few tips and tricks you can do with your hair to make you look younger! If your hair is lacking moisture, start by giving yourself a deep conditioning treatment like MyHoneyChild’s Olive You Deep Conditioner. 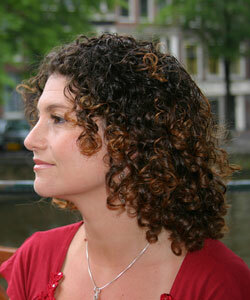 Dry curls can look quite dull and can really add years onto your look. On wash days, try moisturizing products like Yes to Cucumbers Color Care Daily Makeover Conditioner. Spend some time quenching those curls! Color is by far the best way to upgrade your look and make you look younger. Full color is not always necessary, though. For some, subtle highlights can turn the clock back ten or more years! Make sure to keep moisture as a priority after adding color. Use a sulfate-free shampoo that won’t dry out your hair and keep the color looking fresh. Another great way to turn back the clock is to get an updated haircut. We all get comfortable in what we know, but an outdated cut could be aging you. Shake things up with a cut between your chin and your shoulders. The texture curly girls have is an advantage. With your soft curls, you’ll be sure to turn heads! Even with fabulous color and a great cut, if you’re not sporting the proper style, you could be holding yourself back. Stiff and super edgy hairstyles should be avoided. Think old and stiff versus young and soft. Keep it loose! Messy, curly up-dos, soft cascading curls and curly side-buns are all great styles. Don’t neglect those brows ladies! 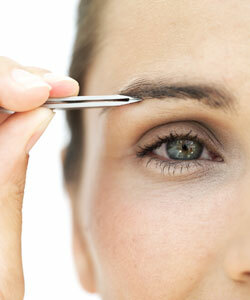 If your eyebrows are too thin you’ll look older no matter what your hairstyle or hair color. Brows shouldn’t be too bushy either. Well manicured eyebrows can make a major difference. Also if coloring your hair make sure the color of your brows somewhat match your new hair color. Switching up your part from side to side could give you variety you never knew. Try a deep part or a shallow one to change things up. Follow these tips and you'll be well on your way to younger-looking days!